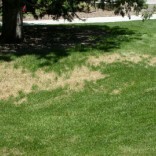 Ascochyta Archives - JVJ Lawncare & Sprinkler Co. | JVJ Lawncare & Sprinkler Co.
Ascochyta is a fungus that is usually just an aesthetic problem on Kentucky bluegrass lawns in Colorado. 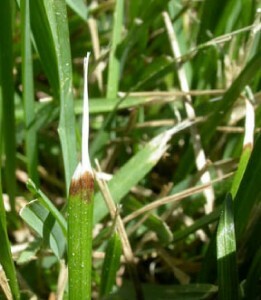 It may also occur on tall fescue and perennial ryegrass. Leaves usually start dying back from the tips & severe areas of affected turf will turn straw-colored however your turf is not dead. 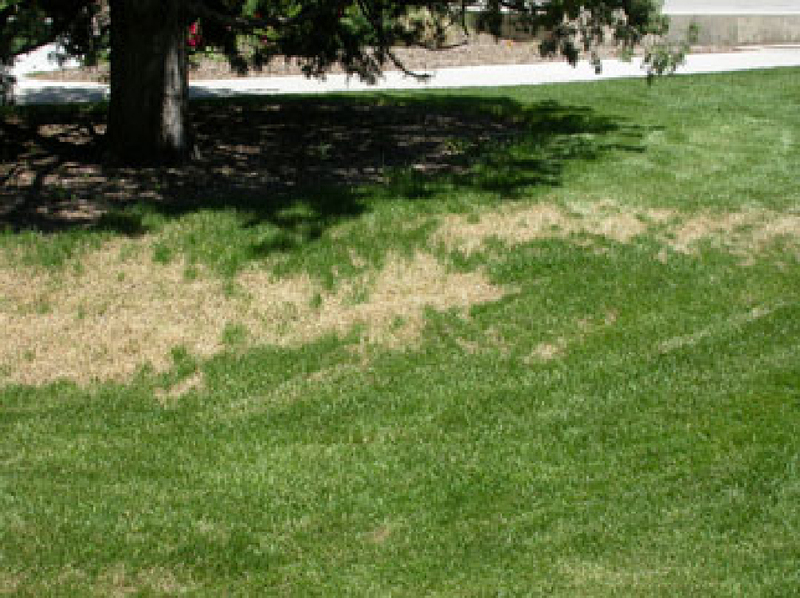 Ascochyta can occur throughout the growing season, but is more prevalent in the spring when there are extended wet periods symptoms may develop throughout the growing season but are more common when cool rainy conditions are followed immediately by hot dry conditions. 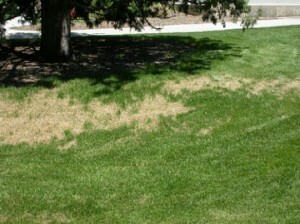 The overall appearance of the disease may resemble drought stress, except that the symptoms of Asochyta blight appear quickly (i.e. sometimes overnight). Reduce thatch and promote water penetration through the soil by aerating. Sharpen blades & maintain grass height between 2 ½ and 3 inches. Avoid mowing during wet weather. 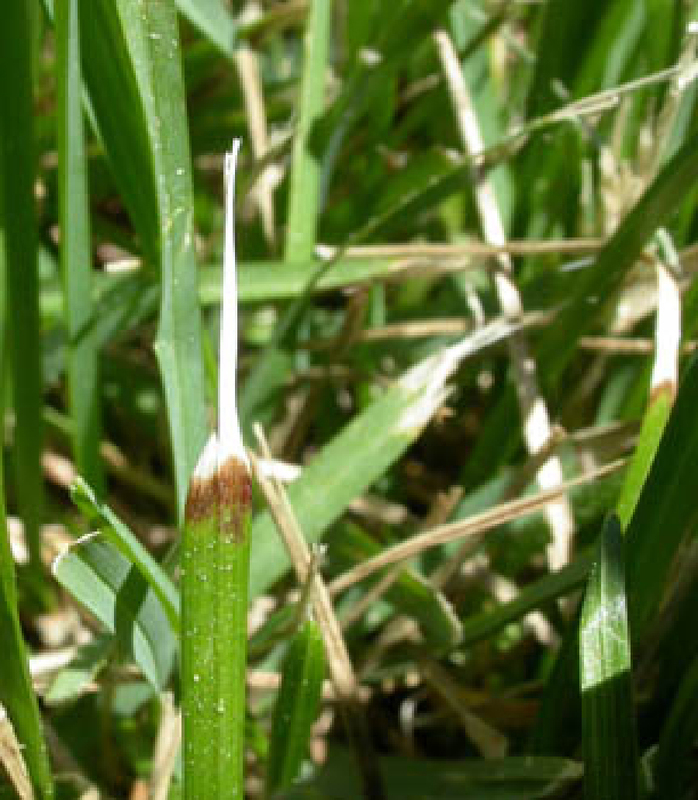 Although the fungus can be spread from one location to another on grass clippings it is unlikely to contribute significantly to disease development because the fungus is already present throughout every lawn. Try to maintain uniform soil moisture. Check your sprinkler system to make sure all sprinkler heads are working properly and that water is being distributed uniformly to avoid drought stress. On the other hand excessive irrigation and poorly drained soils may also promote disease development. The damage usually takes several weeks to disappear. 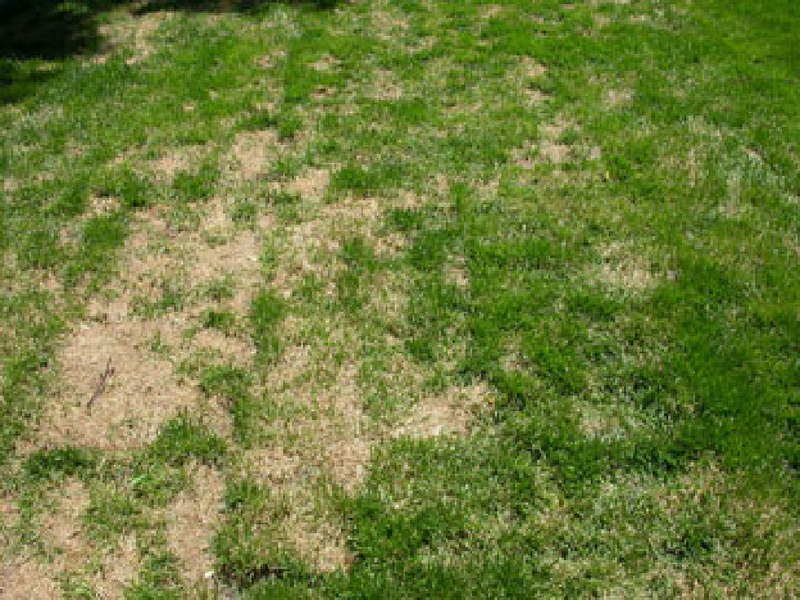 If you can’t wait, a fungicide can speed up the healing process especially on more severely damaged lawns…Call us for a free evaluation! Bleached leaf tips and banding are characteristic of Ascochyta leaf blight.